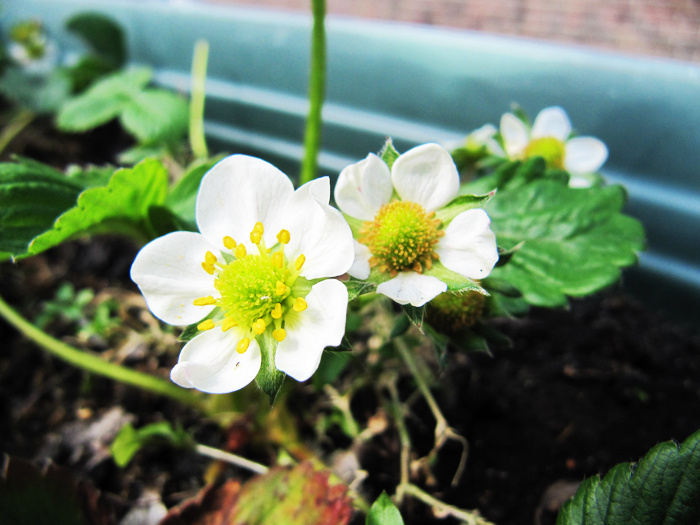 The boat’s rooftop is slowly coming to life with sprouts, shoots and clusters of blooms. The calendula and nasturtium seeds planted in March have become healthy, thrusting young plants. The love-in-the-mist is following on behind with a few frilly sprouts. The sweet peas, bought as tiny seedlings, are now a clawing mass of tendrils, stubbornly ignoring the trellis I’ve put up for them on the front deck. Back in April I planted dwarf runner bean, bush tomato and hyssop seeds, all of which have now sprouted. This month I’ve sown salad seeds in an old fruit box I found on the street. I’ve planted sorrel (red veined and ‘belleville’), purple basil, rocket, chives, coriander, curled chervil, mizuna and mustard. The first tentative shoots are just pushing up. 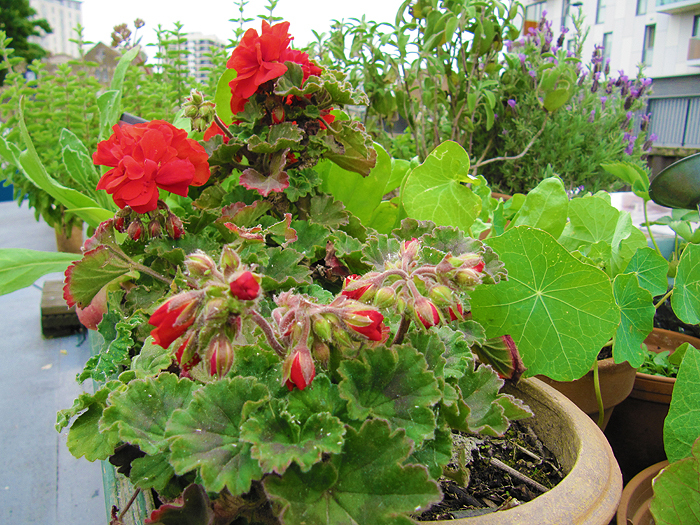 Geoffrey the geranium is sporting his first scarlet red flowers of the season, and the French lavender plants (‘lilac wings’ and ‘snowman’) are both in full bloom. 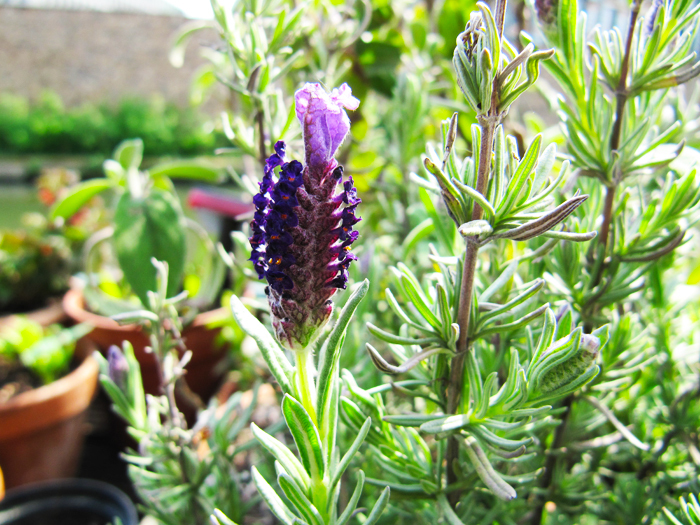 The rosemary – which is more of a stalk than a bush – is decorated with a few modest purplish-white blossoms, and the strawberry plants I inherited have flowers and a smattering of green fruits. Sedum cloud walker is set to burst into bloom at any moment. The sage and mint plants are looking less healthy. Perhaps they have an (entirely understandable) aversion to drinking canal water.